Superboy! Wonder Girl! Robin! Impulse! Amethyst! 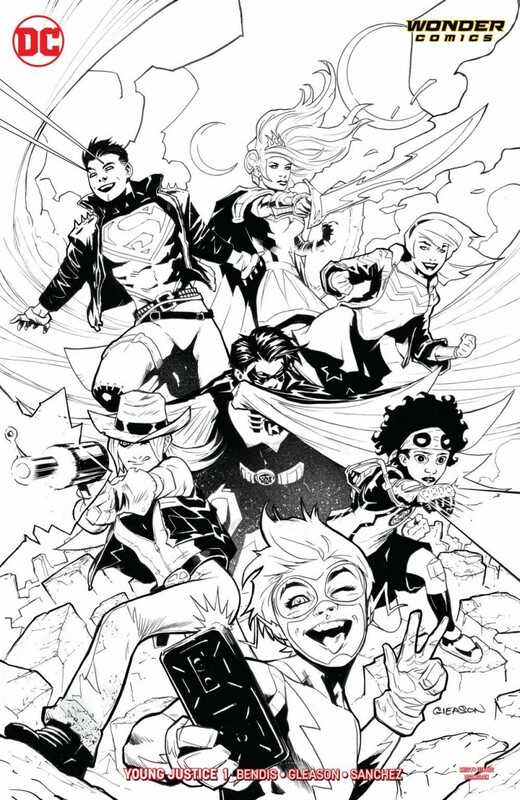 They’re all united in YOUNG JUSTICE #1, the debut issue of a brand-new series that also introduces new heroes Teen Lantern and Jinny Hex! When the nightmare dimension known as Gemworld invades Metropolis, these teen heroes reunite to deal with the situation-but they’re shocked to discover the battle may be the key to the return of Conner Kent, a.k.a. Superboy! This mix of fan favorites and new legacy heroes will be the center point for some of the biggest goings-on at DC!